KNOW YOUR RIGHTS ON YOUR CRIMINAL CASE! If you are arrested, charged with a crime, indicted Federally or State wide, immediately tell the officer that you would like to speak with your criminal defense attorney / criminal lawyer Bradford Cohen, prior to giving any statements. A criminal arrest can occur prior to you being put in handcuffs. If you feel you are not free to leave in a criminal investigation, tell the arresting officer you want to speak with a criminal defense lawyer. 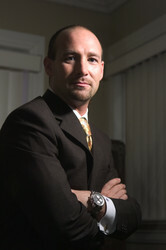 You should contact Bradford Cohen as soon as possible in a criminal investigation. Most times an experienced attorney such as Bradford, can contact the State Attorneys Office to discuss the matter prior to criminal charges being filed against you. This is a matter of your freedom and liberty. Hire an attorney with the arsenal of defenses to help you in your criminal defense. Bradford Cohen Law is a team of highly respected and experienced attorneys who are here to help you win your case. Bradford Cohen Law represents people in all walks of life in Miami Dade, Broward and Palm Beach counties and throughout Florida. Bradford is a sought after speaker by national magazines and television stations, in the area of search and seizure law, stop and frisk laws as well as commenting on high profile cases involving individuals such as Robert Blake, Brittney Spears, Scott Peterson, Anna Nicole Smith and OJ Simpson. Bradford Cohen Law knows that people who are accused of a crime are worried about losing their driving privilege, their employment, or even their freedom. We know that when this happens people need quick and clear answers to their legal questions. Contact us online with your legal problem and attain a free case evaluation. Our highly skilled attorneys know the local court procedures, the judges and the prosecuting attorneys where your legal matter will be adjudicated. This is important, as every district has different local procedures and unique rules that may affect your case. Additionally, Bradford knows how these Judges and State Attorneys have behaved in the past with cases that could be similar to yours. That knowledge coupled with the legal experience Bradford has garnered through Federal Criminal and State Criminal Trial, can assist you in getting the best possible outcome in your matter. With so much at stake, you deserve to have our criminal legal team fighting on your side. Don't just rely on what a criminal lawyer tells you on the phone or in a consultation. Research the type of criminal cases he/she has handled, the number of Criminal JURY TRIALS they have completed, the past cliental, and determine who will best represent you in the judicial arena. Your Criminal Lawyer is your voice of liberty and the last bastion of Justice in today's society, so make the smart choice and call today. To learn more about how we can help you, or to schedule your free case evaluation, call us immediately at 888.264.3652 or contact us online.